Rev. Reed A. Best, S.T.M. Grace and peace in the name of the Lord Jesus Christ in whose righteousness we stand by faith alone for salvation. The Moderator has officially presented your letter and report to the Westminster Presbytery concerning your labors in Bristol, Virginia, at the St. Peter Church. First, we commend the CREC Pastoral Commission’s willingness to aid the members of St. Peter Church while the church currently has no Session, since the former Session members have been deposed. We are grateful to the CREC for encouraging the former St. Peter Session to confess, repent and apologize for their ‘significant mistakes, errors, and sins’, to the Westminster Presbytery (RPCGA) and are pleased that the CREC did not interfere with our judicial process. In particular, Dr. Strawbridge was supportive of our actions, as well as, Rev. Turri. Further, we commend the Pastoral Commission for encouraging the former Session members to demonstrate the fruit of true repentance due to the serious nature of the violations committed by them. In light of this, we remind the CREC Pastoral Commission that St. Paul wrote to Timothy and warned him that he should “. . . not lay hands on anyone hastily, nor share in other people’s sins. . .” and that the man of God must be of “a good report.” It is our prayer that the Commission will heed this admonition given by the Apostle and carefully consider it in regards to many of their current and future decisions. Be assured that our prayers for the Commission and St. Peter Congregation will be that divine guidance will be given and all decisions will be in accordance with the Word of God to the honor and glory of Christ our King. Please convey our greetings and message to the members of St. Peter Church and to the Commission as they continue to labor in Bristol. CREC Pastoral Commission Report, page 4. We greet you in the name of our Lord and Savior, Jesus Christ. At your request, the moderators of the Confederation of Reformed Evangelical Churches [CREC] appointed a Pastoral Commission to assist you in your time of need by providing pastoral counsel and directives. Our hearts go out to each of you as our brothers and sisters in Christ, and it is our desire and anticipation that Saint Peter Presbyterian Church [SPPC] will mature from this time of trial. The Pastoral Commission was greatly heartened by our recent visit with you. Your obvious love for Jesus and commitment to His Kingdom was a cause of joy to us, as was your united desire to glorify God in the midst of this trial. We wish to commend the former session of SPPC, as the fruit of their labors was evident in your Christian demeanor and character. Our prayers for you continually ascend to the throne of grace, as we ask our loving God and Savior that He grant you wisdom and grace as you trust in Him. The Pastoral Commission knew that as we entered into this situation it was unlikely that we would reach the end of our work and be able to provide an ideal solution to the various problems we are dealing with. We are keenly aware that we are limited men, with limited time, and limited knowledge. Nevertheless, God is aware of all these limitations, and thus we have depended on Him to direct our steps and to give us wisdom from above. To provide pastoral guidance for any immediate needs of St. Peter. To review the fitness of the deposed Session of St. Peter for ministry, whether by licensure or ordination under the CREC process. To provide a report to be reviewed by a panel of ten prominent Reformed elders (from outside the CREC), so as to provide accountability and a review process for the CREC’s actions. At a meeting between the Pastoral Commission and the former Steering Committee of SPPC, the Steering Committee was disbanded. This was done with the unanimous approval of all seven members of the Steering Committee, and the three Pastoral Commission members who were present. The Pastoral Commission is now providing direct pastoral oversight of the immediate needs of SPPC. To provide pastoral recommendations to the congregation(s) of St. Peter and Covenant Reformed (CREC). It is our recommendation that SPPC be governed by a session pro tempore, consisting of the five original Pastoral Commission members. These elders pro tempore will remain as part of the session, along with any duly elected elders, until such time as SPPC is placed under the care of another CREC church or is particularized. It is our recommendation that the members of SPPC affirm by vote a Constitution provided to them by the session pro tempore. Should any member of SPPC not agree to be governed by this Constitution, they will be helped by the session pro tempore as they seek out a new church home. The Pastoral Commission will appoint a secretary to keep and maintain a book of minutes, as well as a temporary moderator to conduct meetings until elders are elected. The appointment of John Vernot as the SPPC treasurer. The implementation of all the recommendations of Robert Bradley C.P.A., concerning accounting soft ware and accounting procedures. The provision and pay for any needed training for John Vernot, to the end that he might become proficient in the proper use of SPPC’s accounting soft ware and procedures. If necessary, a computer shall also be provided. The treasurer shall provide monthly financial reports to the session. The treasurer shall provide the following reports to the congregation of SPPC on a quarterly basis, no later than the 15th of the months of January, April, July, and October: 1) Year-to-Date Standard Balance Sheet; 2) Year-to-Date Standard Profit and Loss. In addition, the treasurer should be prepared to provide detailed information on specific income and expenditures. The session pro tempore shall review the finances of the church and make specific salary recommendations to be voted on by the members of SPPC at a duly called business meeting. Until that time, some remuneration for services shall be paid to Laurence Windam, Wayne Hayes, Jay Barfield, and R.C. Sproul, Jr., as determined by the session pro tempore. The Pastoral Commission will move toward an equitable distribution of funds from SPPC to the Highlands Study Center. The amount and reasoning behind the amount will be presented to the congregation for comment before the funds are disbursed. This new work shall receive a one-time gift from SPPC commensurate with her relative numbers of member households as determined by the Pastoral Commission. Quarterly joint fellowship meetings for the first year. A statement signed by each household that promises, the Lord being their helper, to not speak ill of one another and pledge to work diligently to show respect for the other congregation, and to pursue peace and fellowship with one another. To agree, until each church becomes a full member church in the CREC or some other denomination or confederation, to binding arbitration from the moderator of the CREC Augustine presbytery if a dispute between the two churches shall arise. For the peace and purity of the church, it is our recommendation that the members of SPPC refrain from contact with those who are obviously contentious, suspicious, and do not exhibit the characteristics of brotherly love. It is our recommendation that Covenant Reformed Church (CREC), continue to provide pulpit supply for SPPC, but that she not become the CREC sponsoring church for SPPC at this time. It is our finding that there were significant pastoral mistakes, errors and sins by the former Session. Specific recommendations will be shared with each of them individually, and we anticipate evidences of godly repentance from these men. While we regard this as unlikely, should any of these men persist in sin, they will be subject to public rebuke, according to the instructions of 1 Timothy 5:20. It is our finding that none of the former Session members are disqualified from potentially serving as officers in the church, but rather must go through the proper processes of constitutionally being nominated and duly elected to office, along with the necessary ordinations and installations. This process involves the double witness of the session pro tempore serving SPPC, and her members. While the Pastoral Commission has not disqualified any of the former session members, it is important to note that it will be the actual votes of the SPPC membership, working in conjunction with the session pro tempore, that will make the final determination as to each man’s personal fitness to serve as an officer in the congregation of SPPC. The four previous session members shall be considered for re-ordination or re-installation to office separately in the months to come. Although Mr. Sproul was deposed from the ministry (primarily for violations of the RPCGA BCO which would not apply in the CREC), we have determined that since he had been previously examined for ordination (by three different presbyteries of three denominations ARPC, PCA, and RPCGA), he shall not be required to fulfill the process for ordination and shall be considered ordained within the CREC accordingly. Therefore, the session pro tempore will begin a series of discussions with Rev. Sproul and the congregation to the end that the provisions of the Constitution regarding election and installation of a minister may occur. Respecting the court of the Reformed Presbyterian Church General Assembly [RPCGA], we believe the other men must be re-ordained, should they be called to serve as elders. The session pro tempore will work pastorally with each of these men, giving personal counsel and guidance, and will make further recommendations as to an appropriate time and manner for their service to the church. This report has been distributed to the panel of elders for review and comment. Pastor Randy Booth, [chairman], pastor of Grace Covenant Church, Nacogdoches, TX. Elder Patch Blakey, ruling elder at Trinity Re formed Church, Moscow, ID. Pastor Virgil Hurt, pastor of Providence Church, Lynchburg, VA.
Pastor Gene Liechty, pastor of Christ Church, Cary, NC. Pastor Dennis Tuuri, pastor of Reformation Covenant Church, Oregon City, OR. When James McDonald of Family Reformation Fellowship asked to be dismissed from Westminster Presbytery of the RPCGA, the request in some denominations would be “to demit” the ministry. However the RPCGA has no provision for demitting the ministry. The RPCGA either “transfers” a minister to another denomination or “deposes” them from their credentials and removes them from office. We can see by the question that confusion could result from this, especially in light that Mr. McDonald was not “censured,” that is, no charges of a personal nature were brought against him; therefore, he was not as a individual personally “censured.” However, because we are Presbyterian and believe that independency is a violation of Scripture, when Mr. McDonald requested to be removed from his vows, his removal could only come by means of “deposition” because “independency” is not (1) a biblical position, (2) supported by this denomination, and (3) we allow no one to leave with their credentials who are not transferring to another denomination. Thus, Mr. McDonald was, as it relates to his office as a minister “censured” in that he was stripped from his credentials and removed from office by his own request for he was moving to a doctrinal and practical position that is errant, “independency”. He left the RPCGA with no credentials; therefore, he is no longer a minister of the Gospel. He would, of necessity, need to be re-ordained by some independent group or join another denomination who would then re-ordain him. The same circumstances is true for Mr. Marion Lovett also. I trust that this adequately clarifies our position that deposition is a censure, and a rather serious censure. On Saturday, March 4, 2006, the congregation of St. Peter, Bristol, TN, voted to request that a Commission of five pastors or elders, from separate CREC congregations, be constituted to provide pastoral guidance for the immediate needs of the St. Peter congregation. This Commission is not judicial in nature, but rather pastoral. The CREC respects the judicial bounds of the RPCGA and intends to operate within those boundaries. The RPCGA has deposed the former session of St. Peter from office and has also released both the St. Peter congregation and her former session from RPCGA membership without censure. The RPCGA is aware that St. Peter has approached the CREC for pastoral counsel and care. The RPCGA has not precluded the possibility that some or all of the St. Peter session might be reinstated to office in the future, provided they go through the normal credentialing process. That is not to say that reinstatement is a forgone conclusion, only that the judgment of the RPCGA does not necessarily call for their permanent exclusion from office. Ultimately, these decisions will be made by the congregation of St. Peter and any ecclesiastical body to which they might join themselves. Some of these matters have been treated in an anti-ecclesiastical way via web sites on the worldwide web. There is definitely false and misleading information that is being advanced at some of these sites, including false information pertaining to the nature and make-up of the CREC Commission. Self-appointed arbiters of justice do not contribute to a godly resolution of anything and we hereby call upon them to recuse themselves from such public discourse, to immediately remove any material related to these matters from the web, and to pray for all those affected by these matters. It is the desire of the CREC to work to honor Christ and His Church. On March 2, 2006, deposed minister Laurence Windham emailed this fund-raising letter to a number of friends and supporters. Please notice that he requested that donors send him money via Covenant Reformed Presbyterian Church, which was a member of the CREC. As you may have heard, the elders of St Peter Presbyterian Church have been deposed from the ministry, without censure, by our former denomination. This action was done without a trial, called witnesses, cross-examination, or opportunity for a defense. The result has plunged our beloved sacred community into the quagmire of congregationalism. The elders have been maligned and slandered incessantly by the cowardly in the lawless realm of the internet. The ensuing gossip and fallacious commentary, even by some misguided good people, have added to the confusion. 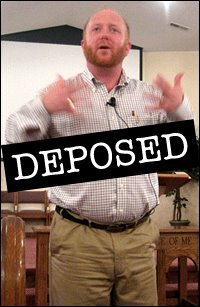 We hold out hope that we will soon be exonerated by godly men in another denomination. Even now, plans are going forward that will bring our plight before the entire Reformed world for evaluation. This will be most welcome by the entire deposed session of St Peter. In this interim, I am appealing to you for financial support for my family. The situation has left the church, the session and the Highlands Study Center’s viability in question. Each of us who labor in this part of the kingdom is hopeful that things will be back to normal in a few months. But in the short term, in the spirit of Antioch helping out Jerusalem, any support you could send this way would help us give our attention to rebuilding the walls and preparing ourselves for the regathering of the sheep. I want to follow up my previous post on RC Jr. I am doing this, not because I have anything new to say, but rather because the situation demands that we go over the basics again and again. My point has been that those who jump into a situation like this with glee, and who cut loose with scurrilous attacks are, on the face of it, not to be trusted with anything. I would provide links to the kind of sites I have in mind, but I don’t think it is responsible to administer poisons just to try to exhibit your skill with antidotes. But anyone who knows the situation knows about these people. And any responsible Christian who knows about these people knows his Christian responsibility to base absolutely no conclusions about RC and his friends from what is said on these sites. It is equally necessary to refuse to countenance anything from people who are associated with the character assassins, but who do not participate in any direct attacks themselves. The unconverted Saul never actually threw any of the stones at Stephen — he just held the cloaks. Some might want to object that I write with a satiric edge, but that when I or any of my friends are in the crosshairs, I start immediately talking about the need to “love your brother.” Two points. Folks who cannot tell the difference between the long and honored literary tradition of satire, and the equally long and dishonored tradition of scurrility may be left to their own devices. I approve of the former and disapprove of the latter. In this I have the support of some of my friends, and all of Western civilization. The second point is related to the first. Not only can people approve the former and disapprove the latter, as I do, but I have frequently noted how some people reverse this. There are many who have no problem with scurrilous attacks but who become positively indignant about biblical satire. Some of the nastiest attacks I have ever experienced have come from people who belonged to the school of thought that would outlaw Erasmus, the prophet Amos, Swift, or Horace. So it is not quite true that these folks cannot tell the difference. They usually can tell the difference between the two approaches — they have just inverted the values (Is. 5:20). And last, I am not defining scurrility as holding to the view that the action of the RPCGA was correct. It is not a scurrilous attack to disagree with me here, or to have a concern based on the fact that there was a decision of the RPCGA through their moderator. This was a public action, taken by the moderator of a Presbyterian denomination. It was not done in a corner, and I can easily envision a responsible person holding to the view, for example, that RC ought to have stayed and appealed. And I can easily imagine someone responsible holding the reverse. That is why I urged everyone to let the governing bodies involved in all this to sort it all out in a godly and charitable way — which is what is happening. But in the meantime, while this is occurring, the only course of action that should be obvious to godly Christians everywhere is that of ignoring and despising attack sites that savage men’s reputations. These sites despise their responsibility under the 9th commandment to be guardians of their brother’s good reputation and name. In this, the pagan officials of Ephesus have more wisdom than our internet vigilantes. “Wherefore if Demetrius, and the craftsmen which are with him, have a matter against any man, the law is open, and there are deputies; let them implead one another. But if ye enquire any thing concerning other matters, it shall be determined in a lawful assembly” (Acts 19:38–39). I have not really said anything in particular about the web controversy that has engulfed St. Peter Presbyterian Church and the Highland Study Center (R.C. Sproul Jr.’s ministry), and I am not going to say anything specific about it now. But I do need to say a few things at the general level. If you don’t know anything about the situation, then that is just great and your world remains a better place. But if you do know about it, I would urge you remember two things, and bind them on your forehead and on your right hand. The first thing is that everyone involved needs to honor and respect (and pray for) the principals in the situation, which would be Ken Talbot, as the moderator of the RPCGA, and the congregation and leadership of St. Peter. These are the entities and men involved, and they have ways of addressing us all if they want to say something. Responsible Christians everywhere should wait patiently while these responsible adults sort this one out. The comeback may be that some of these attacks from outside are being mounted by those who used to be inside, and so they have first-hand knowledge. But any responsible individual with first hand knowledge should be supplying that information to the appropriate bodies involved privately. To the extent that they take the show on the road (and team up with groups that are discreditable on other grounds) to that same extent they are demonstrating just how reliable that “first hand knowledge” must be. In our skirmishes here, I have seen more than one person demonstrate (by their subsequent unbiblical behavior after leaving us) that their first-hand knowledge was actually first-hand ignorance. The second principle is this. I have seen some websites in this that had a powerful amount of “information,” and lots of links to other attack sites and/or purported proofs. When you are shoveling excrement, the basic operating strategy has to be one of moving total tonnage. Many of the things claimed were issues about which I had no personal knowledge (with the only thing to go on being the way the charges were being made; cf. my series on justice). But happily mixed in with all this were slanders that I did have personal knowledge of. And guess what? These guys are about as reliable as any other guy with a spittle-flecked keyboard. So honor Ken Talbot, and pray for the RPCGA. Honor RC Jr. and Laurence Windham and pray for St. Peter and the Highland Study Center. 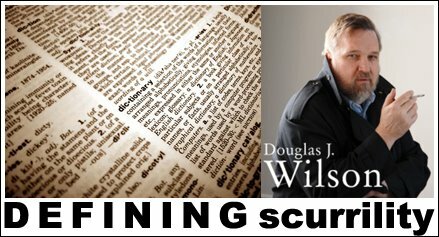 Dishonor character assassination websites — that kind of scurrilous behavior is one reason why prayers of imprecation are still in the Bible. And finally, on a personal level, Laurence Windham and R.C. Jr. are friends of mine. I wanted readers of this blog to know that nothing has happened that would even begin to alter that. On February 7, 2006, the deposed elders of Saint Peter Church removed the previous note from the Highlands Study Center website and uploaded this one in its stead. One day later, on February 8, 2006, they removed this note. The Westminster Presbytery of the Reformed Presbyterian Church, General Assembly has found the session of Saint Peter Church to be guilty of what they saw as grave sin against the church. Our brothers there were concerned about the elders’ failures in pastoral care. They were likewise concerned that our practice of admitting young children to the Lord’s Table, if they had made what we deemed to be a credible verbal profession of faith was against their standards, and the Westminster Larger Catechism. The session has repented to the presbytery for our pastoral failures, and repented for violating the standards of the presbytery as it applies to the Lord’s Supper. The presbytery has in turn, with great grace and kindness, deposed us from our offices in the denomination without censure, and has released us from their jurisdiction. We are grateful to have these issues resolved, and are thankful for those of you who endeavored to both reserve judgment, and who prayed so faithfully. If you have any questions, please email lnawindham@aol.com. The deposed session of St. Peter Presbyterian Church (R.C. 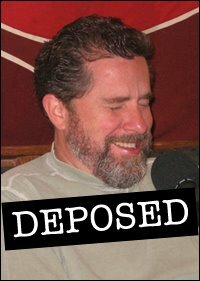 Sproul, Jr., Laurence Windham, Wayne Hayes, and Jay Barfield) sent the following letter of confession, repentance, and apology to the Moderator and Elders of the Westminster Presbytery on February 2, 2006. The letter of response from Westminster Presbytery is also included. While these men were deposed (defrocked) from office for their continued pattern of actions in violation of the Book of Church Order, they were not brought to trial on personal issues from other allegations that were made. Westminster Presbytery was considering a further investigation of the allegations of personal sinful behavior against them to determine if there was sufficient evidence that a trial regarding these allegations was necessary. The apology letter states “Deposed without censure” means that these men individually had not yet been dealt with regarding personal sinful behavior at trial and therefore were in good standing as laymen until such trial would take place. The ‘deposition’ or ‘removing them from office’ was and is a ‘censure’ by the Presbytery for their actions as officers in the church. In this letter of confession, apology and repentance, these men admitted to a full acknowledgement of the validity and authority of the Declaratory Judgment of January 26, 2006. Furthermore, a list of the individuals who were abused by this deposed session is being sent to each of the deposed elders with the expectation that they will, as truly repentant men, write a letter of apology (without any justifications, thereby making it an apology and not an excuse) to these families. The Reformed world is now waiting to see if the apology is genuine or not. The burden of proof is upon the words and actions of these men. If they were sincere in their apology, and it was not just an expedient move for them, they will give evidence in all that they write, preach, teach, instruct, counsel and in their actions towards the RPCGA and those who have been offended by their former conduct as officers in the church. They will be observed and judged by the Reformed community at large as to the sincerity of their repentance. In light of our desire to teach and practice paedo-communion, and because of the complaints that have been submitted to the presbytery, we believe it is our duty to respectfully submit the following letter. As you know, when R.C. joined the RPCGA, it was on the understanding that he would neither teach nor practice paedo-communion. When Laurence was examined the same night he had not yet determined his final position on paedo-communion. Since that time the Session of St. Peter Presbyterian Church has come to the conviction that we can no longer abide by the vows of the RPCGA. We acknowledge that for some time we have been in violation of our vows on this issue and humbly repent and seek your forgiveness for failing to inform the Presbytery and for teaching and practicing that which was agreed not to be taught or practiced. If we had been aware of the 1997 General Assembly Act on paedo-communion, which forbids even holding to the paedo-communion doctrine and practice, let alone not teaching or practicing it in our ministries and church, it is likely that we may have never considered joining with the RPCGA. We know that failure to inform us of this Act was an unintentional oversight by Presbytery and we harbor no grievances on the matter. However, we now realize that given our current teaching and practice we can no longer stay within the denomination. In consideration of the above, we, the Session of St. Peter Presbyterian Church of Bristol, Mendota and Abington, Virginia, request to be dismissed from the Westminster Presbytery of the RPCGA while deposed from office w/o censure and to be hereby released from any association or affiliation with the RPCGA. In addition, we confess that because of instances where our offices and authority have been mishandled, some families have been hurt and others unknown to us could have been offended. To those that have made it known to us we have apologized. Further, we are aware of the embarrassment that this has caused to the good name of the Reformed Presbyterian Church General Assembly. Consequently, we repent and apologize, and ask for your forgiveness as well as from those unknown families who have been affected. We want to thank you and the brethren of Westminster Presbytery (RPCGA) for your friendship, kindness, and gracious patience shown to this Session over the past four years. 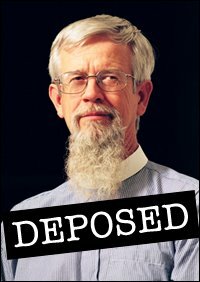 Furthermore, as a result of the Declaratory Judgment of January 26, 2006, having been deposed without censure from the ministry of Westminster Presbytery we request that you dismiss us from the jurisdiction of the Westminster Presbytery of the Reformed Presbyterian Church General Assembly. (Signatures and date are on the original faxed copy). On behalf of Westminster Presbytery of the Reformed Presbyterian Church General Assembly and as its Moderator, I want to thank you for your letter of repentance dated February 2, 2006. We appreciate your sincerity in confessing to the violations recorded in the Declaratory Judgment of January 26, 2006 from the Westminster Presbytery. We are thankful for your honesty in confessing your violations concerning the teaching and practicing of paedo-communion which is in violation of our standards. Your confession and repentance is received and you are forgiven. We also appreciate your confession of mishandling your offices and authority as ministers in the Church of Jesus Christ to those who have been hurt and offended by your actions. We will encourage them to contact you concerning these offences. We believe, with your desire to make things right with the family of God, where such offences have been made, whether intentional or not, you will do the right thing by them. (Westminster Confession of Faith Chapter 15 Section 6) Your confession and repentance is received and you are forgiven. Further, we greatly value your concern for the good name of the Reformed Presbyterian Church General Assembly, and the professed repentance for any embarrassment you have caused the denomination, whether by word of mouth, by writing and/or by your actions and deeds, which were in violation of our Book of Church Order. Your confession and repentance is received and you are forgiven. We are most grateful for your recognition of our “friendship, kindness and gracious patience shown to the session over the past four years”. We thank you for your expression of and recognition of our leadership and the love we have for you as brethren. We pray that you go in peace, honor your repentance, and serve our living God whose Son Jesus Christ is Lord over all creation. Again, we praise God for your confession and repentance. We pray and exhort all Christians to seek repentance and reconciliation as you gentlemen have professed in your letter because as Dr. R.C. Sproul Jr. has written, “. . .a true man takes responsibility for his failures. That is why a godly man’s best posture is on his knees repenting. . .” (“When Bucks Fly” in Family Reformation Magazine, page 34, Fall 2004). We believe you men have modeled this attitude before all, and we are most humbled by your humility. Be assured that our love and prayers are for each of you. Ordered this 3rd day of February, 2006 and sent to the office of the Stated Clerk. A copy of this letter will be sent by certified mail. [With the admission, confession, repentance and apology, Westminster Presbytery believes that we are required to take these men at their word (Luke 17:3–4: “Take heed to yourselves. If your brother sins against you, rebuke him; and if he repents, forgive him. And if he sins against you seven times in a day, and seven times in a day returns to you, saying, ‘I repent,’ you shall forgive him.”). It is our prayer that these men will abide by their professed repentance and prove themselves as changed men for the glory of Christ and His Kingdom]. The deposed elders from Saint Peter Church uploaded this note to the Highlands Study Center website on February 4, 2006, and kept it there until February 7, 2006, when they replaced it with another message. As many of you have read, Dr. Sproul Jr., along with the entire session of Saint Peter Presbyterian Church, has heard from the moderator of the Westminster Presbytery of the Reformed Presbyterian Church, General Assembly, that they have been deposed from their offices as elders in the church. This action was taken without a trial, indeed without even a conversation. We disagree with the action taken, and are considering our options as to how to respond. 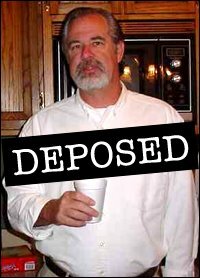 What we will not do is take shots against our accusers over the internet, and would encourage you not to do so, either. Please be patient, and please pray for the peace and purity of the church. We pray that you go in peace, honor your repentance, and serve our living God whose Son Jesus Christ is Lord over all creation. Again, we praise God for your confession and repentance. We pray and exhort all Christians to seek repentance and reconciliation as you gentlemen have professed in your letter because as Dr. R.C. Sproul Jr. has written, “. . . a true man takes responsibility for his failures. That is why a godly man’s best posture is on his knees repenting. . .” (“When Bucks Fly” in Family Reformation Magazine, page 34, Fall 2004). We believe you men have modeled this attitude before all, and we are most humbled by your humility. Be assured that our love and prayers are for each of you. Dr. R.C. Sproul Jr., Mr. Laurence Windham, Mr. Wayne Hayes, and Mr. Jay Barfield, having taken vows of Ordination wherein they agreed and affirmed to submit the following vows as officers in the Reformed Presbyterian Church General Assembly. Do you believe the Scriptures of the Old and New Testaments to be the inerrant Word of God, the only infallible rule of life, faith and practice? Do you sincerely receive and adopt the Confession of Faith and Catechisms of the Reformed Presbyterian Church General Assembly, as containing the system of doctrine taught in the Holy Scriptures? Do you approve of the government, discipline and worship of the Reformed Presbyterian Church General Assembly? Have you been induced, as far as you know your own heart, to seek the office of the holy ministry from a love to God and a sincere desire to promote His glory in the Gospel of His Son? Do you promise to be zealous and faithful in maintaining the truths of the Gospel and the purity, the peace and unity of the church, whatever persecution or opposition may arise unto you on that account? Do you promise to be faithful and diligent in the exercise of all private and personal duties which becomes you as a Christian and a minister of the Gospel, as well as in all the duties of your office, endeavoring to adorn the profession of the Gospel by your life, and walking with exemplary piety before the flock over which God shall make you an overseer? Are you willing to take charge of this congregation (or specific call) in agreement with your declaration when you accepted their call? And do you promise to discharge the duties of a pastor (name office) to them as God shall give your strength? In the process of time, many violations of the Book of Church Order and the vows for ordination have been breached and these men in taking the above vows are accountable for their actions, teaching and practices. The biblical requirement is a minimum of two witnesses to establish a fact in evidence according to Deuteronomy 19:15: “One witness shall not rise against a man concerning any iniquity or any sin that he commits; by the mouth of two or three witnesses the matter shall be established.” Under D6:5D witnesses can be public, written, or oral testimony, where such issues may proceed under D6:9 of the Book of Church Order. Another individual who received some of the same type of abuse was Mr. Dennis Cochran. Mr. Cochran was not a member of St. Peter Presbyterian Church and in this way his story differs from the Austin’s and the Burton’s, but the manifestation of abuse was the same. Mr. Cochran who was under a doctor’s care, which resulted in his inability to hold employment, was told by Laurence and R.C. that if he joined St. Peter Presbyterian Church, he would have to stop taking his medication and find employment. Mr. Cochran determined to not join St. Peter Presbyterian Church and was aggressively confronted. Mr. Cochran’s letter goes on to note that the people at St. Peter began to shun him, but later it was dropped since he was attending Abington Presbyterian Church (PCA). Another family who experienced the same abusive behavior was the Hutchison family. They were a witness to the ‘shunning’ of Mr. Cochran, and then found themselves in conflict with the Session of St. Peter Presbyterian Church. The Session of St. Peter Presbyterian Church has admitted to this unlawful use and therefore again come under D6:9 as their own accuser and confessor. Westminster Presbytery neither authorized the Session of St. Peter Presbyterian Church to establish a mission church or to install any minister thereunto. Such actions are from men who are out-of-order with the Book of Church Order and the will of Westminster Presbytery and the General Assembly of the Reformed Presbyterian Church General Assembly, the Scripture, the confession, and the Book of Church Order. The Session of St. Peter Presbyterian Church has publicly confirmed this action calling Christ the King Church a ‘daughter’ (mission) church, and an also by those in attendance at the installation and admission of Mr. Dewey, installed him without due authority. This is a plain and clear violation of the peace and unity of the church, again constituting malfeasance, misfeasance and nonfeasance of their office and authority. An offense to those whom had taken vows to submit to their authority and uphold the system of Government of the Reformed Presbyterian Church General Assembly. Having made this matter of public notice in various documents and on the St. Peter Presbyterian Church/Highlands Study Center website, this comes under D6:9 making the Session of St. Peter Presbyterian Church their own accuser and confessor. The Session of St. Peter Presbyterian Church did without permission of Presbytery seek to divide its congregation into parishes, consisting of Bristol, Mendota, and Abington. The Book of Church Order under B10:4 requires the approval of Presbytery and the assignment of qualified men to bear the offices for the proper function thereof. The dividing of St. Peter and the appointing of Jay Barfield as ‘student pastor’ is an unlawful act of the Session of St. Peter Presbyterian Church. Mr. Barfield is a ‘provisional elder’ who was petitioned to function at this level since Dr. Sproul and Mr. Windham would be traveling, he could assist in preaching and the sacraments of the church. This permission never extended to ‘regular’ preaching, teaching or sacraments. Under B4:2B4 the regular administration of the sacraments and preaching of the Word belong to the Pastor, and may on occasion be permitted by a ‘church governor’ B4:5B12 administer the sacraments, and assist the minister of the Word (pastor) in his duties B4:5B11. This is openly practiced and publicly noted on the RPCGA website in clear violation of the authority of Presbytery. Again this is misfeasance, malfeasance and nonfeasance in their duties as elders and members of the Reformed Presbyterian Church General Assembly. Having made this matter of public notice in various documents and on the St. Peter Presbyterian Church/Highlands Study Center website, this comes under D6:9 making the Session of St. Peter Presbyterian Church their own accuser and confessor. This fact was also revealed in the letter to the Austin family that they had not given the proper vows of church membership to them, nor to the congregation of St. Peter Presbyterian Church. They therefore failed to properly enroll the church into the jurisdiction of Westminster Presbytery following the procedures of the Book of Church Order B10:9B5 and B2:1D. Having made this matter of public notice in public documents this comes under D6:9 making the Session of St. Peter Presbyterian Church their own accuser and confessor. The Session of St. Peter Presbyterian Church failed to fulfill their responsibility of B10:9A that requires a Declaration of Association and By-laws to be developed and submitted to the Presbytery which explains their congregational government, relationship to the denomination, the rights of their members, and how land and tangible property will be owned and distributed upon the dissolution of the Church. Lastly, the Session of St. Peter Presbyterian Church has been in violation of the Westminster Confession, Chapter 29: Section 7 & 8, the Larger Catechism questions 166—177 in the improper administration of the sacrament of the Lord’s Table. St. Peter has a different way of serving the Supper. Each family goes up and is served. The congregation sings songs while everyone goes up. Geneva was scared. It was quite different for her, so when it came time to eat the bread, she cried. I guess going up to the front, and a stranger serving her the bread, and also praying for Ashley, was too much for her. I held her in my arms, and that comforted her because she didn’t have much of a problem drinking the wine. Except this time she spilled it. Oh well. In view of the request made by Dr. R.C. Sproul Jr. and given the authority of this office by the Elders of Westminster Presbytery, the following ruling is hereby issued. Considering the pattern of behavior noted above, the Session of St. Peter Presbyterian Church has proven to be irresponsible in their duties as ministers of the Gospel. They have proven they are not men under authority of this denomination because they are continually acting outside of the Book of Church Order. Their actions, in matters of writing, teaching, articles on their website, and practice, in each of the issues above demonstrate that they have no interest in preserving the peace, purity, and unity of the Church and its order, which includes conforming all their actions to the requirements thereof. Therefore, in order to protect the Church of Jesus Christ from any further damage and humiliation (WCF 20:4), the Moderator hereby declares the following declaration by the authority vested in this office and the expressed support of the Elders of Westminster Presbytery to carryout their will in these matters. The Moderator, by the authority of the Elders of Westminster Presbytery, herein deposes from the office of Elder, Dr. R.C. Sproul Jr., Mr. Laurence Windham, Mr. Wayne Hayes and Mr. Jay Barfield and dismisses them to the general membership of Westminster Presbytery. They are to be held for trial pending additional charges, both public and personal, that are currently being investigated. The consistent pattern of actions taken by these men are duplicitous in nature, and demonstrate that they willingly and knowingly act in an arbitrary fashion in violation of their vows of ordination and in violation of our denomination’s Book of Church Order. Most importantly, their actions manifest that they lack the qualification for the ministry (1 Timothy 3:1–7). It would be unwise to allow these men to continue to hold an office for which they are not qualified. They have no interest to govern themselves appropriately within this Presbyterian system of government that they vowed to submit and conform to its rules and regulations with conduct becoming ministers of Jesus Christ. Ordered and Declared and sent to the Office of the Stated Clerk on this 26 day of January, 2006. Sent by e-mail and registered letter on the date indicated above. F. Any candidate for pastor, minister, or teacher regardless of his level of formal education, will be examined before ordination (See Article IX.C). The candidate will be examined by a local session of elders with regard to his manner of life, knowledge of Scripture, and doctrinal understanding. The presbytery will also examine him with regard to his manner of life, knowledge of Scripture, and doctrinal understanding. The presbytery may or may not recommend his ordination to the session of the local congregation. The local session is not judicially bound by the recommendation of presbytery. If a local session does not abide by the presbytery recommendation, then the presbytery may or may not initiate proceedings according to Article IV.P. . . . The pattern established in the scriptures (2 Tim. 2:1–2) is that Timothy was to commit the things that he had learned to those faithful men who would be able to teach others. Having established elders in every city, it further was the pattern that this process of succession was perpetuated by those already established in the office. This task clearly requires that a determination be made as to whether a man is characterized by a faithful life and whether he is skilled in teaching others. Our purposes are therefore twofold, first we must examine a Teaching Elder candidate’s manner of life and doctrine and secondly his ability to teach scripturally. We believe that it is the local session that primarily carries the burden of this critical determination. As a Presbytery, our purpose is to provide assistance to the local session in this examination, while recognizing the limitations of a presbytery to review a pastoral candidate. First, it is the session that is preeminently qualified to examine a candidate’s manner of faithful life and ability to teach. Secondly, it is prudent for the session to seek the accountability of the broader church as a protection to the flock, and it is a good testimony when they do so. Thirdly, the broader church, as represented by the Presbytery, is generally better able to examine a candidate’s doctrinal preparedness, ability to use the original languages, and his exegetical abilities, and knowledge of English bible. Ultimately, the session is charged with faithfully considering the wisdom of the broader church and is responsible before God for the ordination of a candidate. The examination process and related matters is described fully in the document Guidelines and Instructions for the Presbytery Ordination Exams and Related Matters of Ordination available from the Moderator. The examination process for ordination to the office of pastor (teaching elder) is divided into three phases: a) Preliminary written exam from the Moderator administered in the context of the local church; b) A second written examination overseen by an Ordination Committee from the Presbytery appointed by the Moderator, and c), An oral examination administered at Presbytery by the Ordination Committee. At the end of the (c) oral examination (phase three), the Evaluation Committee will, by majority vote, recommend or not recommend the candidate for ordination at that time. The Committee will report their decision and any other recommendations to the Moderator of the Presbytery and to the elders of the local congregation. If the Committee does not recommend ordination and the session determines to proceed with ordination against the recommendation of the Committee, then the session is to indicate in writing to the Moderator their reasons for disregarding the recommendation. The Moderator will, in that case, evaluate the criteria of the session to determine if there is egregious sin involved on the part of the session, and then proceed as per article 3(R) of the constitution. While we believe in the holy catholic Church and therefore accept the ordination of ministers outside of the CREC, it is both wise and proper for their credentials to be examined. It is recommended, though not obligatory, that CREC churches seek the wisdom of the broader church in assessing these credentials. Assessing the credentials and views of an ordained minister is not the same process as an ordination examination and is not to be as comprehensive. The aim in examining a transferring minister is to assist the local congregation in confirming orthodoxy and competency. When the church desires to call a man to the office of pastor one who was ordained outside of the CREC or who is not a minister in the CREC, the elders of the church shall inform the Moderator. The Moderator will facilitate the ministerial credentials examination by appointing a committee composed of three CREC presbyters. This may take place at a time determined by the Moderator, in coordination with the local church elders. The Committee will provide a report of their decision and any other recommendations to the Moderator of the Presbytery and to the elders of the local congregation. If the Committee recommends the call of the minister, the church may proceed with the call. At the next Presbytery, the minister will then be received into the CREC as an ordained minister with a report from the Committee and an opportunity for a brief examination on the floor of the Presbytery. If the session determines to proceed with the call against the recommendation of the Committee, then the session is to indicate in writing to the Moderator their reasons for disregarding the recommendation. The Moderator will, in that case, evaluate the criteria of the session to determine if there is egregious sin involved on the part of the session, and may proceed as per article 3(R) of the constitution. This process of assessing the credentials of a minister being called to a CRE church is described fully in the document Guidelines and Instructions for the Presbytery Ordination Exams and Related Matters of Ordination available from the Moderator. The Presbytery is not involved in the process of a “ruling elder’s” examination or ordination. Nevertheless, since all elders are required to perform the same primary function of ruling and overseeing the church as do pastors, a similar standard of Biblical and doctrinal knowledge should be encouraged. Any CREC member church that wishes to have her minister(s) ordination formally recognized by the CREC shall submit such a request to the moderator (in writing). A previously ordained man, upon entering the CREC along with his church, was received by the presbytery and thus had his ordination formally recognized by the presbytery. Any man who sat for a CREC ordination exam and was recommended by the examining committee, ordained by his local CREC church, and installed as a minister. 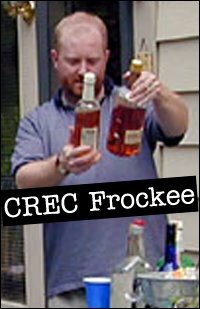 Any previously ordained man who was called by a CREC member church to be their minister, and is duly installed; subject to final approval at the next presbytery meeting. Mr. Strawbridge asked for clarification on the relationship with the PCA. Mr. Queener took the floor to give an explanation. Mr. Queener took the opportunity to give a brief overview of Covenant Reformed Church and her relationship to other churches in the area. Mr. Shade asked for clarification on the status of the ordination of the leadership. The Saga of R.C. Sproul, Jr.
On July 15th, the Westminster Presbytery had its summer stated meeting. There were many items on the docket, including the request of transfer from the Associate Reformed Presbyterian (ARP) Church to the Presbyterian Church in America (PCA) of the Rev. R.C. Sproul, Jr. Mr. Sproul is the son of Dr. R.C. Sproul, who pastors St. Andrews Chapel in Orlando, Florida, and was founder of Ligonier Ministries. The examination of Mr. Sproul began at approximately 11:30 AM and dealt primarily with his testimony. At 12:00 noon the presbytery adjourned for a season of prayer before breaking for lunch. The presbytery reconvened at 1:30 PM and continued its examination of Mr. Sproul. The minister stated his exceptions to the Westminster Standards including paedo-communion and a continental view of the Sabbath. Mr. Sproul repeatedly stated that he would submit to the brethren and would not speak nor teach these views if so instructed by presbytery. At this point the presbytery went into executive session, calling Mr. Sproul back in on two different occasions to discuss further his views on education. Mr. Sproul was asked if he believed it was a sin to send covenant Christian children into government schools. He answered in the affirmative. After the call for the question Mr. Sproul was approved by a vote of 27 for and 5 against. Immediately following this vote a member called for a vote to reconsider and have it recorded on the minutes. The moderator, Mr. Nat Kelley of Draper Valley Presbyterian Church, Draper, Virginia, allowed the motion to stand. The chair was challenged and the presbytery voted, 18-13, to support the decision of the chair. The motion to reconsider and have it recorded on the minutes suspended the previous vote of presbytery on Mr. Sproul’s transfer. Immediately following, a motion was made to adjourn. It was seconded and carried. On August 22nd a meeting of the Westminster Presbytery was called to deal with an overture from the Bridwell Heights Church pastored by the Rev. Larry Ball on the subject of education and a complaint filed by Ruling Elder Joe Reynolds of Westminster Presbyterian Church in Kingsport. This complaint stated that Roberts Rules were specific on the circumstances that must exist in order to allow a motion to reconsider and have it recorded on the minutes stand. The basis of Mr. Reynolds’ complaint was that the circumstances did not exist. The called meeting was also to deal with the transfer of Mr. Sproul and the motion to reconsider. At the beginning of the meeting the moderator, Mr. Nat Kelley, set a three hour time limit, starting at 7:00 PM, and the matter was not up for debate. One minister asked if he made a motion at 10:00 PM to extend the meeting for another hour if he would be ruled out of order and the moderator said that he would. After roughly ten minutes had passed the stated clerk distributed some items of interest he felt that the members needed and explained their content. He finished around 7:40 PM and a TE asked the moderator if the three hours could begin at that time. The moderator said no that it had begun at 7:00 PM. The overture from Bridwell Heights was dealt with first and then the complaint from Mr. Reynolds. During the debate on this complaint a ruling elder from a church in Johnson City, Tennessee, declared that “Rev. Sproul had nothing to offer Westminster Presbytery and that Westminster Presbytery had nothing to offer Rev. Sproul.” This was said in an angry tone and many of the members felt this statement was uncalled for. Discussion and voting lasted until approximately 9:20 PM. The issue of the reception of R.C. Sproul, Jr. was next on the docket. At this point the Stated Clerk, the Rev. Steve Meyerhoff, made a motion to request that presbytery help him with ideas on how complaints could be streamlined. The Rev. Henry Johnson asked for a point of order stating that this was not the business that brought the presbytery here and could be better handled at the next stated meeting. The Moderator denied his point of order and the chair was challenged. The decision of the chair was then upheld. Mr. Meyerhoff stated his point and finished at 9:40 PM. The presbytery was now ready to deal with the motion to reconsider in reference to Mr. Sproul’s transfer. The presbytery immediately returned to executive session and dismissed 20 minutes later at 10:00 PM asking Mr. Sproul to return on September 12th. On September 12th a meeting was called for Westminster Presbytery at Abingdon PCA, a church pastored by the Rev. Bill Leuzinger. The meeting was to deal with the vote to reconsider Rev. R.C. Sproul’s request to be transferred from the ARP to the PCA. The presbytery immediately went into executive session. Mr. Sproul was called in once. Evidently the controversy surrounded his views on government schools. The presbytery was behind closed doors for approximately two hours and forty minutes. When they emerged, Mr. Sproul was denied transfer by a vote of 18 to 27. Many of his supporters appeared with tears in their eyes and told R.C. Sproul, Jr., how sorry they were. Request From R.C. Sproul Jr.